Thrusting German manufacturer Audi is expected to bring at least three new plug-in hybrid models to its range, following the arrival of the A3 Sportback e-tron, which is now open for orders starting at £29,950, including the £5,000 Plug-in Car Grant. The next car in line will be a lot larger: an e-tron plug-in hybrid edition of the opulent two-tonne A8 saloon. Likely to provide a 3.0-litre diesel V6 coupled with mains electric power, combined output should approach 370bhp with a road-rippling 700Nm of torque. That’s not quite on a par with the current range-topping 4.2-litre V8 diesel-powered A8, with its 380bhp and 850Nm, but not far off. And whereas the current eight-cylinder car chucks out an unwelcome 194g/km of CO2, the plug-in V6 should be able to limbo under 100g/km in its official rating, aided by an electric range of about 30 miles. A similar engine transplant is likely for the lardy Q7 off-roader, the second generation of which is due to debut next year. The most powerful variant of the current car is rated at a bruising 242g/km of CO2 by virtue of its barn-like dimensions and 2.4-tonne heft. Bigger, heavier cars have more to gain from hybridisation and present fewer engineering problems squeezing in all the necessary hardware. A full Q7 Quattro plug-in, with electric propulsion to the rear axle, is also a distinct possibility. 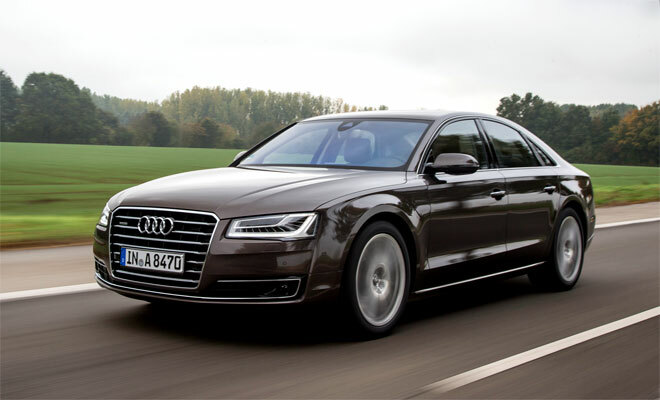 The A8 e-tron is due to be revealed early next year, while a mains-assisted Q7 is currently only at the rumour stage. Also in the upper reaches of the range, a new Audi R8 sports car is due next year, and will include a battery powered electric edition for the first time. An R8 e-tron has been hawked in various concept guises since 2009 and is finally due to reach road-going reality, though only in small numbers built to special order. Range between charges is expected to be about 280 miles. A more mainstream arrival will be an R8 diesel – arguably an overdue development for a company that first won Le Mans in an oil-burning car more than 11 years ago. A concept R8 featuring a V12 diesel engine was shown off in 2008, but a production version would be more likely to lean on the aforementioned V8 currently used to haul around the A8 and Q7, suitably revamped for more power and higher revs. 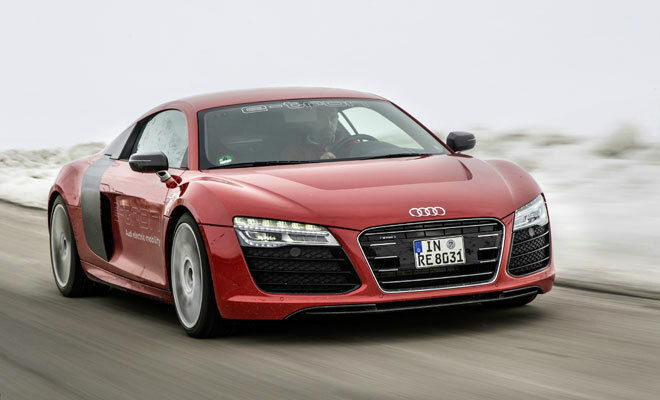 Or, perhaps, the diesel R8 might be a plug-in hybrid built around a version of the A8 e-tron powertrain. 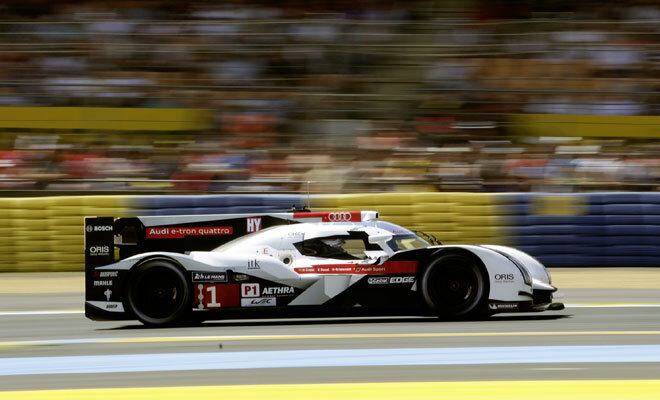 That would more closely mirror the 2014 Le Mans winning Audi R18, which is a four-wheel-drive V6 hybrid. It would also give Audi a car to square up against the BMW i8. Back on a more solid real-world footing, a new A4 saloon is also due next year, likely to go on sale in the second half of the year. The fifth-generation A4 is expected to feature a new look that, in a breakthrough for Audi, might be actually noticeably different to the old look, with sharper creases and a new angular face reminiscent of the shiny new TT. And, more importantly, there should be a big jump in efficiency. 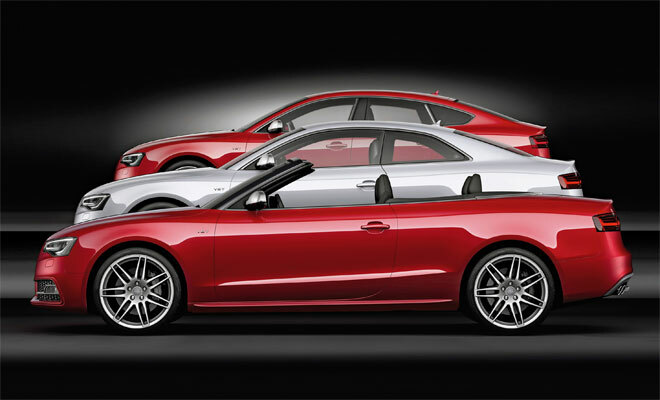 The new mid-sized saloon is expected to weigh about 10% less than the current A4 courtesy of high-strength, hot-stamped steels as well as more extensive use of aluminium. 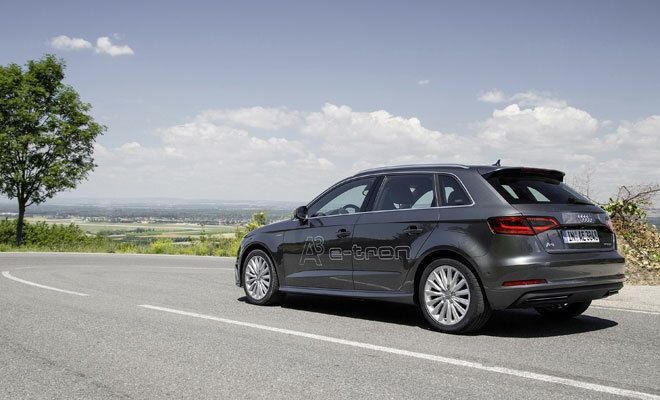 A sort of entry-level plug-in hybrid A4 is likely, using much the same petrol-electric powertrain as the A3 e-tron, which is also due to power a plug-in version of the next Volkswagen Passat and will probably power the plug-in long-wheelbase A6 that Audi announced in April for the Chinese market. 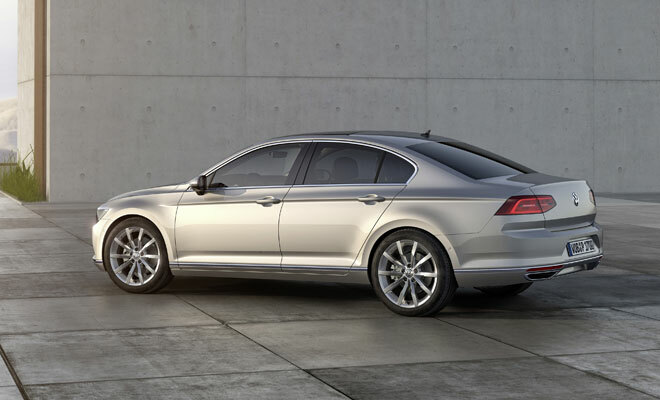 There will need to be some engineering adjustment, bearing in mind VW mounts its engines across the bay, while Audi fits them front to back. But if the Audis match the VW, the A4 e-tron will use a 154bhp 1.4-litre petrol engine with an 80kW electric motor, offering peak power output of 208bhp and an electric range of about 30 miles. However, a second A4 e-tron is also rumoured, powered by a diesel-electric system and with the option of e-Quattro power for the rear axle. If either plug-in A4 goes ahead, that would also make it simple to provide equivalent hybrid editions of the upcoming A4 Avant and the next-generation A5 Coupé, Cabriolet and Sportback, which will all be built on the same shared engineering platform.